Check Out the Scary Swedish Short Horror Film Storage Now! Truly terrifying new short horror film Storage hails from Sweden…Sweden! Now you might be thinking that movies like this don’t come from Sweden – Sweden! 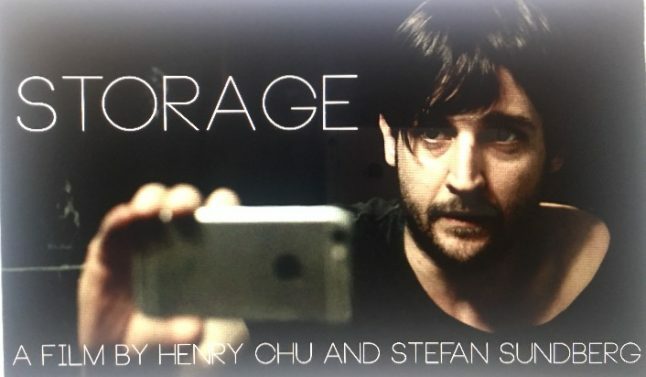 – but writer/directors Henry Chu and Stefan Sundberg’s new short horror film Storage is the real deal and packs a hefty punch in under six minutes of running time. Sundberg contacted us last night and asked us to look at Storage and give our thoughts. We were impressed and, with his permission, we are sharing the film with you now. Says Sundberg: “Filmed on a shoestring budget under excruciating circumstances inside dark, narrow and dusty culverts underground, it contains five minutes of intense suspense, unsettling environments, skillful acting and tour-de-force cinematography and sound design. It has been met with equal shares of praise and screams when tried on test audiences and will now be unleashed over the rest of the world. Shot in Nacka, outside Stockholm, Storage features up-and-coming actor Anders Lindahl in the lead role. The film is written, filmed, edited and produced by Chu and Sundberg, both who have had long careers in the Swedish entertainment industry. Chu has made a name for himself as a beloved host of several TV-shows but also as a producer and director of movies, TV and radio. Sundberg is a praised documentary maker but also as a producer and director of film and radio. And Storage is super scary. Turn down the lights and watch it now….